No doubt you have seen and heard the horrible acts of wickedness that happened in Nevada this past week. Pure evil. I know most of us realize there is “evil” present in this world, but when that evil has a face and you see its affects, evil becomes a reality. I read a post two days ago written by a father about his son, who was there that day in Nevada with his wife. This 29 year old man used his body to shield and protect his wife from the showering bullets. She said that she felt the impact his body took when those bullets entered him from the back. She felt him fall to the ground. Even though the concrete wall was only a few feet away she stopped running, turned around, and stayed with her husband preforming CPR. Somehow she was never struck, but while people were running away from the wall of bullets, two men (who still remain nameless) ran towards this husband and wife. “They come from no where,” the father said…calling them angels. They picked his son up, carried him to their truck and took them both, along with another person to the hospital. By this time, when I was reading this post, my eyes were filled with tears and my heart just sorrowing for this father, his mother, and this wife. The 29 year old man (a son, a husband) never made it. He died because someone said yes to evil. We know there are many more stories like this from that day, but this one wasn’t left my soul. I think of how he was a hero to his wife and she to him; I think of those two men, that truck, and how they were heroes to total strangers. The list doesn’t stop there: the police, hospital crews, and men and women who died and lived that saw someone else’s life more precious than their own. I also think of someone else who saw the same in me…Jesus Christ! I don’t like death, grief, sorrow…my family and I know it all to well. My Daddy being the latest. It hurts. 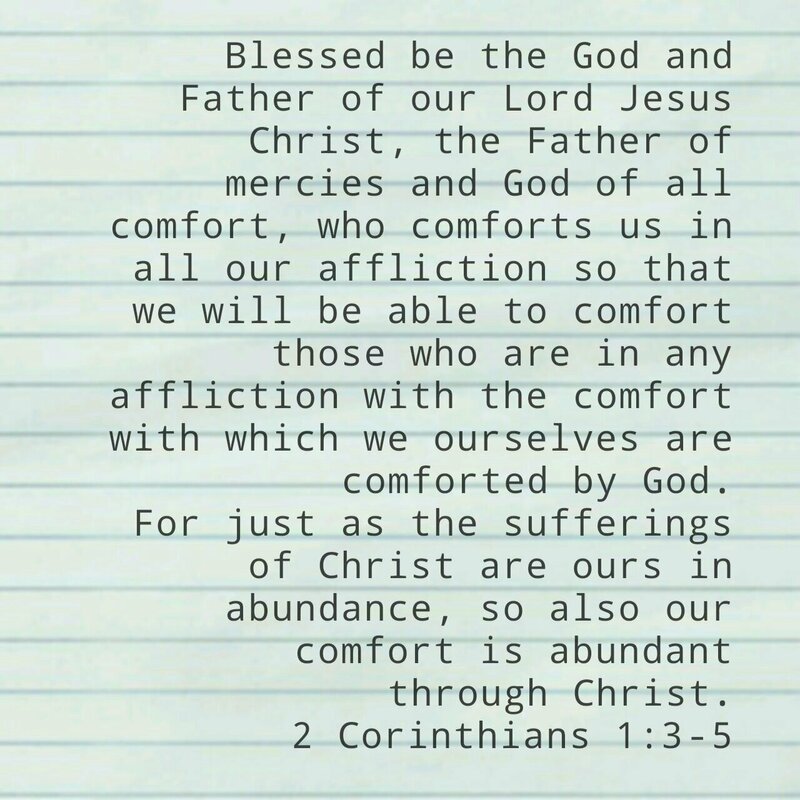 But grief, sorrow, death has another side to it as well…the comfort of God that is truly unique, deep, precious, strengthening, and we’ll…comforting. I try to describe the comfort that God gives, but really I do it no justice. It is something that is only experienced. There is also a choice when one is living in the land of grief and sorrow. The choice of better or bitter. This father is choicing better. Is his grief deep…you better believe it is, but even in the midst of evil, his own sorrow of losing his son, he is still choicing better, not bitter. For to be bitter is to give that killer another victim. For to be bitter is to destroy your own soul from within. There is yet another choice when coming through the valley of the shadows of death, when the pain lessens a bit, when the Lord comforts your heart and you see a fellow human being starting their own journey of grief, sorrow, and/or death…when better is chosen, something happens to you. ← Naps: biblical or not? Praise the Lord!!! Thank you! Very good pоst. I absolutely appreciate this website.